Sunday, September 23 was the first day of Autumn, and summer sure did fly by this year. I am certain all families are as busy as we are here on Wood Road, putting away all the summer fun toys and cleaning up to prepare for the cold weather. This has been a great summer! Thanks to everyone who has worked hard to keep our lake beautiful. Deb Silva and Cleo Monti worked diligently to organize and develop a Herbicide committee and a 46 acre herbicide treatment; they also have fundraising plans for the future. The Lakesmart RI Pilot Program is underway, thanks to Carolyn Fortuna. This is a program that will benefit lakefront property owners by teaching about ways that property and land can exist in harmony. A special Thank You to Mike Benoit who did a superior job keeping our lake at “perfect” level for all to enjoy. Aaron Colaluca, thanks for your contribution and the videos giving us a view of what is happening under the water- great videos. That is the way SDRA works- everyone doing something, members being respected for what they feel is right and working together for the benefit of our lake. No one point of view is better than another. We are volunteers who are concerned citizens of our environmental community. Goal 5: to develop a method for the harvester to be used by landowners. If you have a question or comment regarding what is happening in, on, under, or around our lake, call any Board member and ask. All questions are worth asking. Check out the SDRA website and learn more what is happening on Smith and Sayles Reservoir. The SDRA Board puts much thought and consideration into all the decisions we make. No topic is thought to be unimportant. Each Board member totally understands that we were elected to represent each member of the Association. We take our elected jobs seriously. The work of the lake management committee members has been constant throughout the summer and will continue, albeit in a different form, throughout the upcoming winter months. I’ve had the pleasure of joining in on several subcommittee meetings and events this past summer. I can report that we have one of the most active and invested volunteer lake association groups of any in the New England area; we’ve heard this statement frequently when we meet with the folks at RIDEM. This summer, we’ve met monthly as a board, using the Annual Meeting as a focus for planning. We’ve had numerous boat greeter afternoons and early mornings, educating bass fishers about invasive “hitchhikers” and best practices to keep boats clean. We began our Lakesmart RI Pilot program with 2 property walks — thanks to the Theriaults and Bakers, who opened up their properties. The herbicide and non-herbicide committees have met and continued their sometimes tedious work. Our dam master has met the challenge of not only keeping our lake at a satisfactory level for summer recreation, but he’s communicated frequently with lake owners. And we’ve been so fortunate to have ongoing water testing, which provides longitudinal data for URI. As with all social organizations, SDRA brings together individuals with different perspectives. That blending of points of view brings a richness and depth to our Association that we would not have if we were all lined up in agreement on every topic. Consensus-building is hard work, granted, but it makes us all better in the long run. We need more people to join in to our sub-committees, too, so that voices translate into action that benefits our entire lake community. Step up and make good happen on our lake! Our treasury has been stable this past quarter, with normal operating expenses totaling right around $500 and deposits primarily from dues of $2,400. Also, at the end of June, we disbursed $9,500 for the chemical treatment. Thank you to everyone who paid their dues and, if you still need to pay yours, they can be sent to SDRA at PO Box 284, Chepachet, RI 02814. Fundraising is a significant part of our overall budget; when it comes to caring for our lake, we need your help. We had a successful fundraising event this past April and, as we prepare for the cold weather, let’s start to think about ideas for this year. Did you enjoy Bella’s, and would you like to do it again? Is there a different type of event you would rather attend? Or perhaps we should do more than one event. Our membership is full of enthusiastic, creative people, and I’m very curious to hear your ideas to lead an event that helps to support our Association work. Feel free to send ideas or questions to mjdanville@gmail.com. Let’s make this year our best and most fun year yet! And please feel free to share our GoFundMe page with family and friends. Its web address is www.gofundme.com/sanddamri. The SDRA board decided to design the focus of this newsletter on the goals of each lake management sub-committee for the 2018-2019 year. We have asked each sub- committee chair to write up a 100 word or so comment about her/ his committee’s goals. Our spillway gate house will begin to start drawing down on Columbus Day Weekend. Please plan on having all your boats out of the water by then. We plan on draining up to 2” per day, weather permitting. Our goal for the year ahead is to keep the lake as immaculate as possible. We have received many compliments on how great the lake looks right now, and we wish to keep it that way. The Herbicide team has been working diligently since early spring with the professionals at Solitude Lake Management LLC to spray the lake for milfoil. It’s in our best interest to keep our beautiful lake as pristine as possible. It takes a tremendous amount of work to accomplish this task. With only a few members on our team, we would really love to have more people join us for this huge task. We also desperately need to have a steady stream of income to be able to spot treat the lake as necessary. We have ideas for fundraising and would appreciate more help. Please consider helping us; any amount of help would be appreciated. As of this date, I have not been able to speak to John Holmes concerning what’s going on and their plan on opening up Keech Dam gatehouse. I will continue to call him, but I’m afraid it will not happen before the printing of this quarterly newspaper. Thanks, Aaron, for providing spectacular video of the lake bottom. You provided solid evidence that we still have a milfoil problem and that we need to be vigilant in applying a variety of mitigation methods. The milfoil you showed was clearly old growth, with thick stems. As an Association, we will have more work to do. It is encouraging to see native bladderworts and common (flat stem?) pond weeds filling in the voids left by dying milfoil. 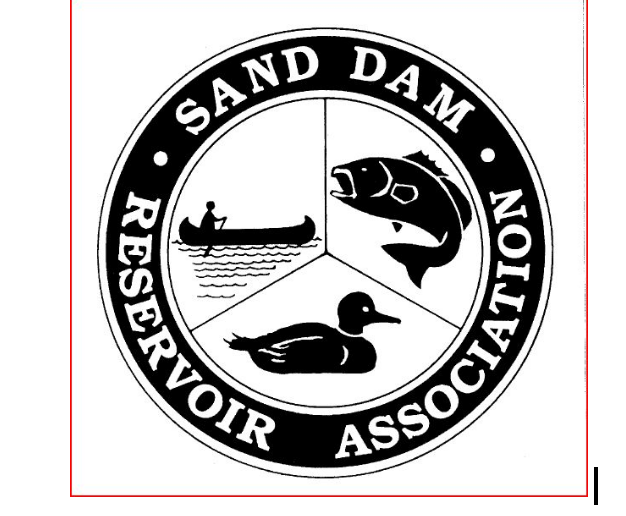 Over the past few months, Sand Dam Reservoir Association has been collaborating with the Maine Lakes Society, learning about their Lakesmart property plan. Our goal has been to initiate a Lakesmart RI Pilot Project based on the program that is in place across Maine. Fast forward to late summer on Smith & Sayles Reservoir. We conducted 2 property walks. It has been a fabulous experience! The property owners and we evaluators are learning so much from each other! Our shared experiences and understandings of lake-land interfaces, stormwater runoff, fertilizer alternatives, and other approaches to landscaping have been informative and quite interesting. We will spend the next 6 months communicating with our liaison at the Maine Lakes Society and developing our program further. We are the first site in Rhode Island to establish a Lakesmart program. Each of the other New England states is also piloting their own Lakesmart program. Save The Lakes continues to work at developing programs that help local lake associations. Another beautiful summer has passed. In June, July, and August, I collected water samples from the main test site and tributaries. Balcom Brook and Keach Brook were tested; O’Donnell Brook has not been flowing enough to get a sample. The results from URI indicate our water is very clean. The Phosphorus, Nitrogen, Ammonia, and Chloride levels are all very low, less than half the maximum average allowable. The water clarity is excellent, as I was able to see the bottom at 2.5 meters during every test. Biweekly, I recorded water temperature, rainfall, light, and wind conditions and tested for algae. Here’s the footage I took of the lake bottom. I did find milfoil in the treated areas. Please take a moment and look at what the bottom of our Lake looks like. We’ll be having our annual cleanup of the dam as soon as the foliage drops, the lake bottom starts to appear, and the drawdown takes hold. At the writing of this newsletter, a date and time has yet to be determined. Keep checking your email for the fall cleanup announcement. What a wonderful day we had to celebrate Sand Dam Day 2018! The rain clouds cleared, and the neighbors joined together from all sections of the lake for food, fun, good conversations, and networking. Thanks to Aaron and Gina for hosting our annual gathering. It is a long-standing opportunity for members to come together in a friendly, social environment to chat outside of our regular Association business agendas and to share lake stories, observations, and history. Special guests attending this festive event were Mrs. B. and Theresa Precopio. They shared many “fun” memories from the past. Once there was a fisherman who was late to arrive at the tournament — he said he had to stop at a car wash and wash his boat! He just didn’t want to arrive with a dirty boat. Fishermen meet at the ramp, hoping they have a clean boat, but about 20% still have some weeds. Just think: additional weeds do not go into our lake because of the Boat Greeter program. How wonderful! In the nine years Mary has been leading this subcommittee, only one fisherman did not want anyone to look in his boat, but his trailer could be checked. (Hmm, wonder why?) Fishermen always express appreciation to Mary for the fine job she does. They, too, do not want additional weeds in our lake. GREAT job, Mary! Thank you for all you do to control and manage invasive weeds in Smith and Sayles Reservoir. Mary, your efforts are appreciated! Carolyn and I have had the privilege of working at the boat ramp with Mary. Please consider joining us next year, as it is an opportunity to meet and greet others who come to enjoy our lake — and this important initiative needs many more volunteers to meet its optimal efficacy. Please contact Mary (mokeeffe@providence.edu or 401-568-2657) to volunteer and/or learn more about the program. This entry was posted in Annual Drawdown, Boat Ramp Inspections, Fund Raising and tagged boat inspection program, Drawdown (hydrology), fundraising, Lake Management, Sand Dam Reservoir, Smith and Sayles Reservoir, suction harvester. Bookmark the permalink.